My latest offering was a request from a close friend, a personalised Christening Gift. Lucy was due to Christen her little girl and asked if i had any ideas? Fairy’s and Angels are a favourite of Lucy’s little girl so after a glass of wine and a good old catchup I set to work on a Felt Picture. 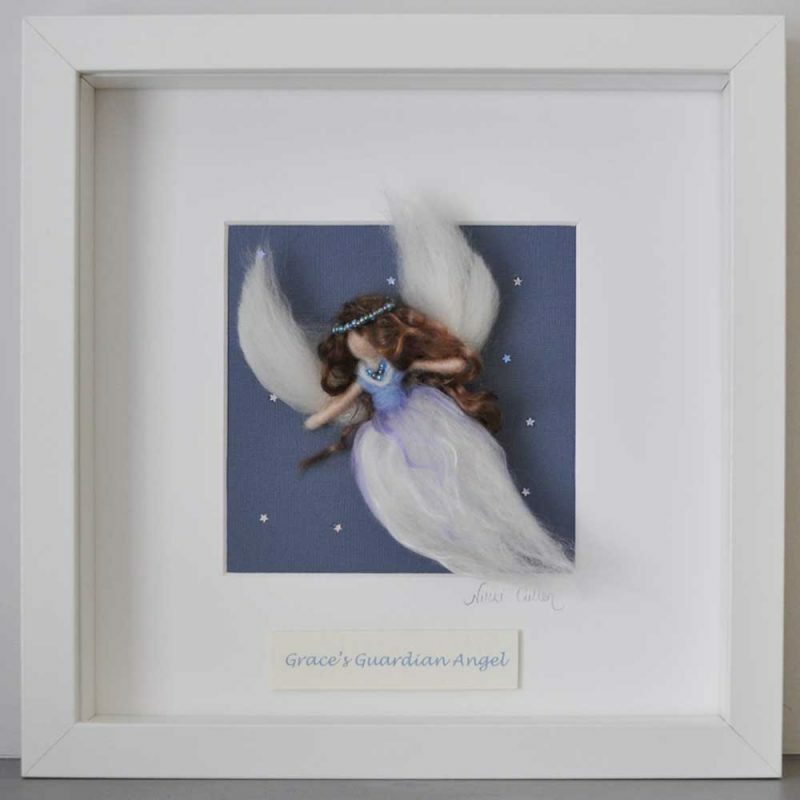 My inspiration for this piece was easy as i know Lucy’s favourite colour is Blue and her little cherub has a favourite Angel Doll that never leaves her side. I named this piece ‘Grace’s Guardian Angel. Personalised Christening Gifts are a big hit with many of our customers. If you have a coming Christening to attend and are not sure what to buy simply ask us at Felt Moon. I was so pleased with the comments from Lucy when I gave her the persaonalised picture and even more pleased with the effect it had on Grace, her little face was gleaming with a smile from ear to ear. 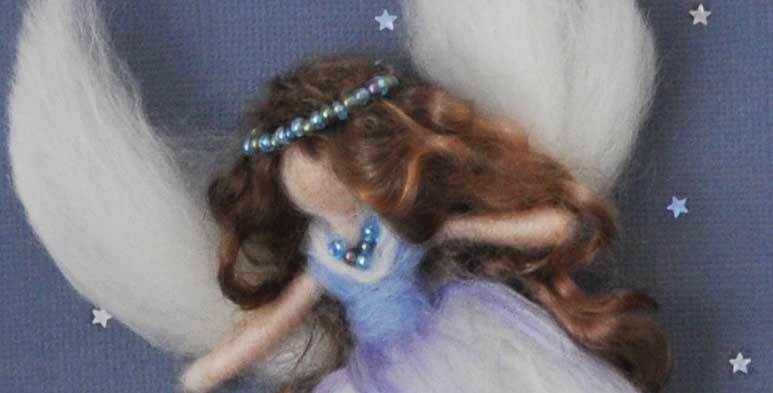 This Needle Felt Picture now has pride of place on Grace’s bedrooom wall so she can forever cherish it. If you would like a bespoke piece of Felt Art, framed with a personalised message then please don’t hesitate to get in touch simply contact us and we we will reply as soon as possible. 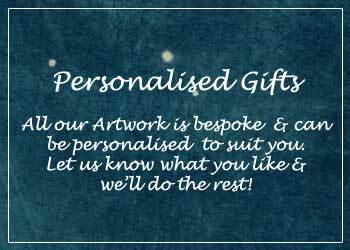 If this is something you’re looking for and would like a similar personalised picture for your loved one, please let us know..
We make most of our artwork to order. We can change anything you see here, the background colour, the dress colour, the name of the picture.